Interior Design Interview : Olivia Silk Talks About Her Passion And Love For Interior Design In An Exclusive Interview With Linda Bella. 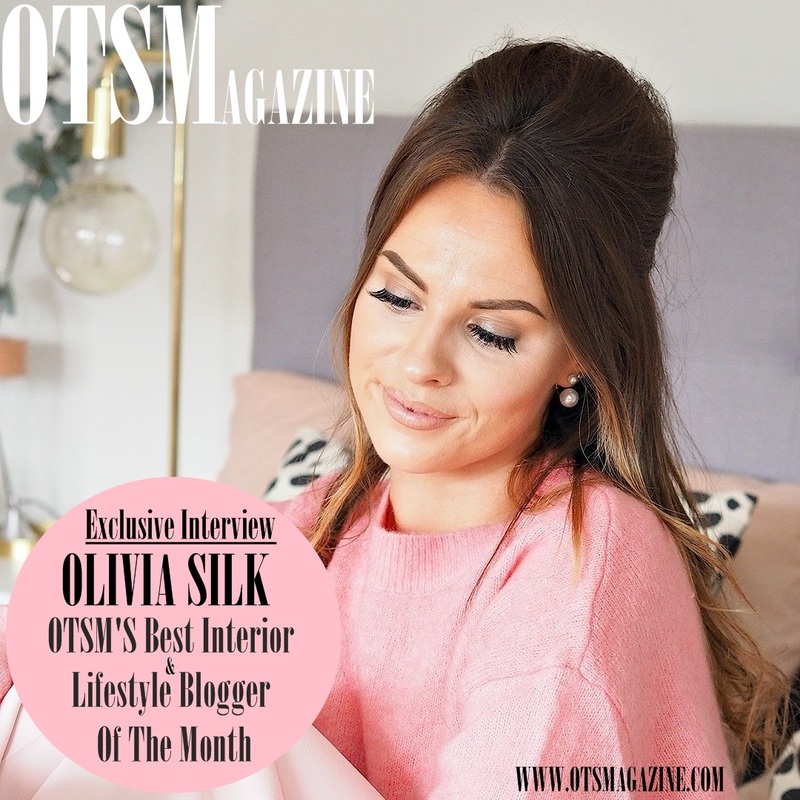 At OTSMagazine UK, We love bringing you creative insight and perspectives from bloggers and individuals all over the world who are kind enough to share their wisdom and journey with you all.Today we are featuring an interview with Olivia Silk - Interior designer, and Lifestyle Blogger at- www.lustliving.co.uk. Hi Olivia, Tell us more about yourself, what was life like growing up? Life was great growing up – I’ve got the best parents, one older sister, we’ve pretty much always had two dogs. I went to boarding school and then went on to study photography at university which has been a great tool for my blogging. Please describe your blog "Lust Living" and what your motivations were for starting such an awesome endeavour ? Lust Living is an interior lifestyle blog, so I write about everything from interiors, to travel, to food, to beauty – all the things that I find myself lusting after. I started my blog in 2015, I was sharing updates on my home renovation on Instagram and after a little while I decided to share my interior journey properly online. Have you always been interested In Interior Design? Not at all no. Only since I moved into my current home have I fully realised my passion for interior design. year. 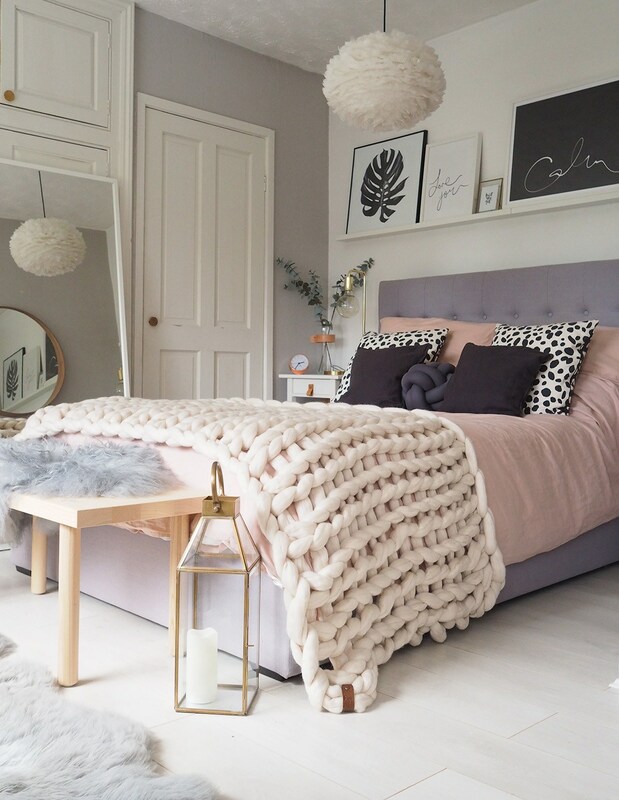 I do still try to keep my style quite minimal – I don’t like too much going on, but then I like to warm it up a bit with pastel shades and a bit of texture like a Mongolian cushion or a warm metallic – maybe a gold lamp! 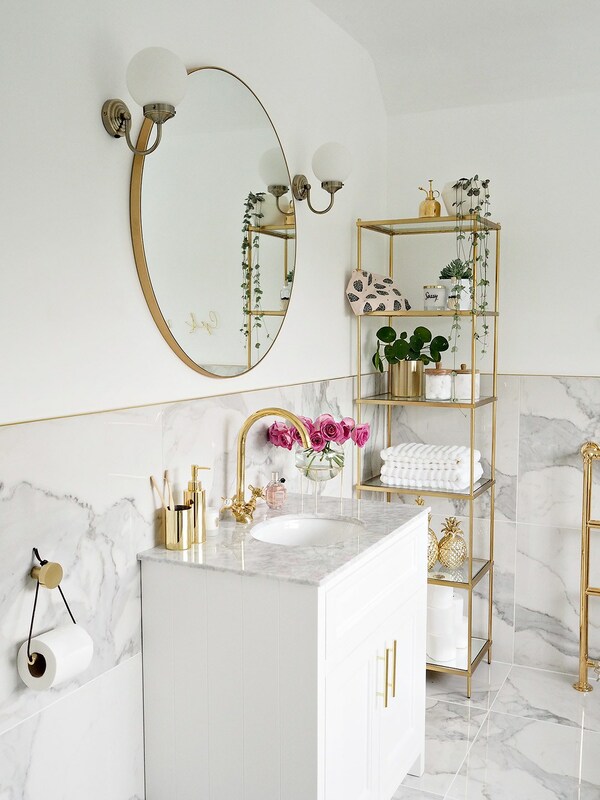 Brilliant Job on The Marble and Gold Bathroom, Where do you draw your inspiration from? Thank you! 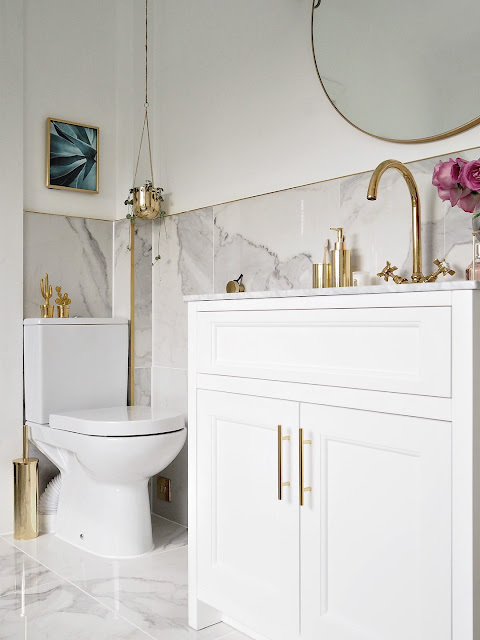 I took a lot of inspiration from trawling Pinterest but I was really going for a luxury classic hotel bathroom feel. What excites you most about Interior and Lifestyle Blogging? The opportunities that I’ve been lucky enough to be involved in. When I first started my blog two years ago, never did I think that I would be featured in GRAZIA magazine… or working on a collaboration with IKEA! So what are your latest and upcoming projects? The next project is our other bathroom – it needs to be completely gutted and re-designed, a messy job but I’m excited to get that started. What advice would you give to Aspiring Interior and Lifestyle Bloggers out there? Start now, don’t wait. My only regret is that I wish I’d started sooner. How important is Art in Interiors and Name Three objects that can completely refresh a room? I think it’s very important, although I am not the best example putting this into practice in the home, it’s something I hope I will get better at with age. Textures cushions – Mongolian sheepskin preferably, you can normally pick them up in TK Maxx but west elm have a gorgeous range too. A neutral rug – I’ve got my eye on a Tisca Olbia rug. 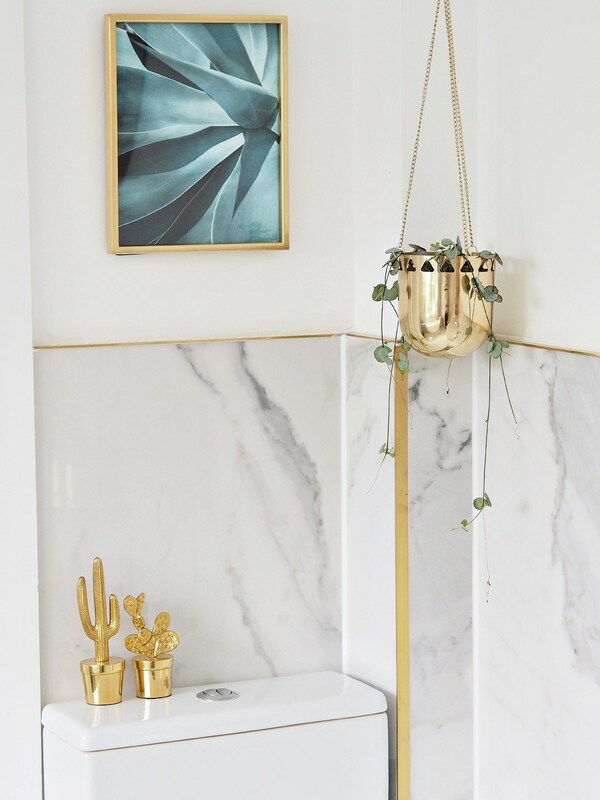 I tend to stick to neutral colours for the main design of a room – walls, large pieces of furniture etc and then be a bit bolder with accessorising, adding metallic and so on. What other blogs inspire you? What are your goals/dreams/ambitions for your blog and for yourself? At the moment I work a full time 9-5 job and blog in the evenings and weekends, but my aim is to be working full time as a blogger in a couple of years time – so fingers crossed! Follow Olivia Silk Via Her Social Media Platforms Below.